Early one morning in July, my colleague Kev and I set off to collect the majority of the waggonway timbers from York Archaeological Trust where they have been undergoing preservation treatment for the last 3 years. Or, as we like to say, we set off on a waggonway adventure! The preservation treatment is a lengthy process which involves submerging the timbers in vats filled with two different grades of Polyethylene-glycol wax, in total 6000 litres of the solution. PEG 400 wax is liquid and penetrates into the wood as a cryo-protectant: under freezing it reduces the expansion of liquid water to ice; the solid PEG 3350 acts as a scaffold to support the wood cell structure during drying. The PEG 400 solution is increased in 5% increments over 6 months, then the PEG 3350 is increased in 5% increments until the required final concentration is reached. The timbers are then left to soak for as long as necessary (usually 2-3 years). 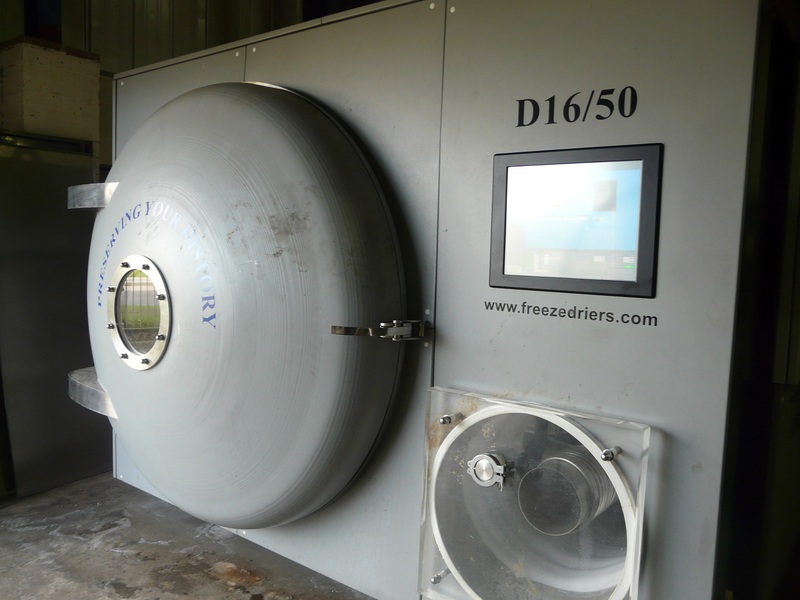 Once this process is complete they are put into a freeze-drier at -20 – -30 degrees Celsius and the remaining water is removed under vacuum which converts the solid water into a vapour. Interestingly, it is easier to treat wood that has a high level of decay than wood with low decay levels as the former will take in more wax for preservation than the latter. As you can imagine, York Archaeological Trust’s conservation laboratory was a fascinating place to visit with multiple bright yellow tanks being used to preserve other artefacts and large freeze driers droning away in the background. After checking our list and the timbers we loaded everything onto the van. Even though we knew we were collecting timbers up to 5m in length, we were still surprised by the sheer scale of them. Once everything was safely on board we were back on the road to the Regional Museum Store (RMS), the timbers’ new home. 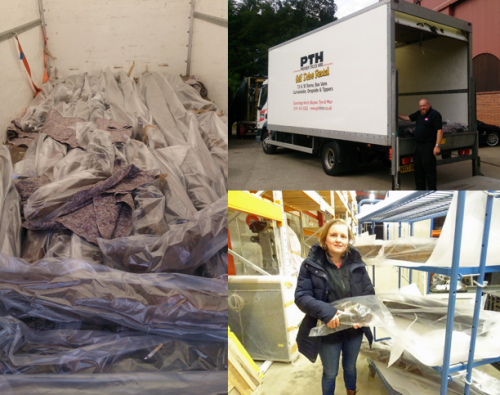 Left: Timbers up to 5m in length are loaded onto the van protected by blankets. Top Right: Kev gets ready to unload the van at the RMS. Bottom Right: Dominique placing timbers onto trolleys. The RMS is a Tyne & Wear Archives & Museums (TWAM) maintained store located at Beamish Museum. The store environment is monitored 24 hours a day using the Eltek Telemetric Environmental Monitoring system which can be accessed remotely by the TWAM conservation team. 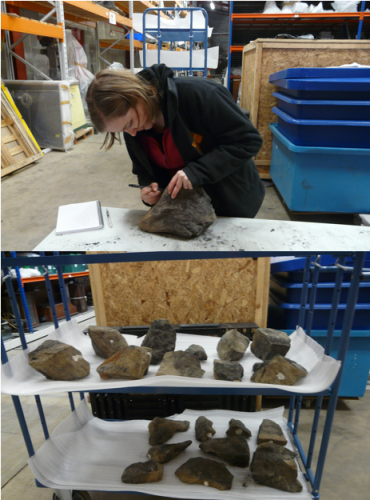 With the timbers now safely in the store, it was time to start documenting them as well as the stone components so that the information could be entered into TWAM’s collection management system. Top: Dominique documenting the stone paving from the wash hole. Bottom: Trolley of accessioned stone paving from the wash hole. Over the coming weeks, archaeologists will study the timbers to determine the techniques used to fasten timbers together, evidence of previous use, methods of working and evidence of maintenance. Construction techniques used for laying the stone paving and the origin of that stone will also be investigated. Dendrochronology and species analysis will determine the age and species of the timbers and petrographic analysis of the stone paving will be commissioned. Keep an eye out on this blog and our social media pages as we uncover the secrets of the Willington Waggonway! There will also be an event on 28th July (11am – 3pm) for the Festival of Archaeology at Stephenson Railway Museum. The timbers which still require preservation treatment will be on display as well as some of the preserved timbers which are part of a temporary exhibition.